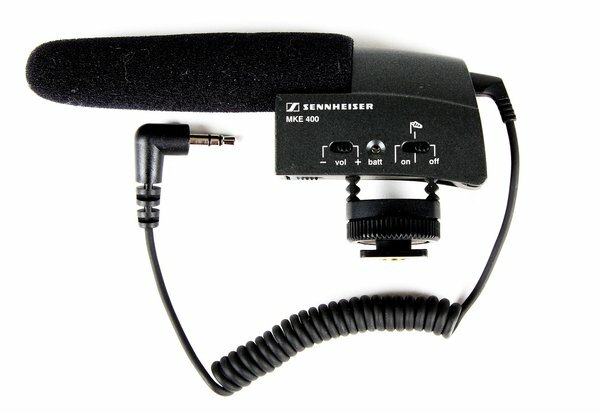 The Sennheiser MKE 400 on-camera shotgun microphone is a high-quality, compact alternative to using the built-in microphones on DSLR cameras. Offering an all-metal housing, maximum side noise rejection, switchable sensitivity, integrated shockmount, and foam windshield, this little microphone is one of the most versatile on-camera solutions out there. This unit runs on 1x AA battery.